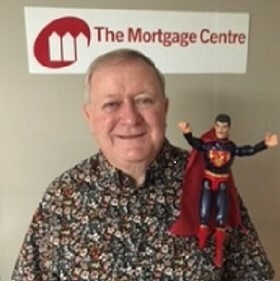 Neil "Mortgage Man" McJannet was born and raised in Manitoba, Canada and as a result is hardy in nature and does not give up until a deal is done. After graduating from Dakota Collegiate in Winnipeg in the mid 60's he went to work at The TD Bank where he spent 27 years, with the last 10 years in their mortgage department. Neil prides himself in knowing how bankers think which helps him get those deals through for his clients. He is happily married to Joan and has been for most of their 50 years together. She is a fantastic cook and hostess and is responsible for the health and well being of “The Mortgage-Man” . Neil has 4 children - 2 boys and 2 girls - a millionaire family and now he is striving to get that million. He also has 9 grand-children in Toronto, Burlington, Abbotsford and soon to be one in Kelowna. They are the apple of his eye. Neil and Joan love to travel,(Joan is now a Travel Agent with Expedia Cruiseshipcenters, Abbotsford, BC) downhill ski, golf, play cards and entertain. The Mortgage Centres have a list of equity lenders for those questionable deals and they represent the majority of Canada's A Banks, Trust Companies and Life Insurance Companies. Check our site for the extensive list of lenders. Neil prides himself in the service he provides all clients. He treats them with true dignity even when their chips are down and there is little hope for them to buy a home. He also provides FREE guidance and counsel and tries to point all clients in the right direction so they can ultimately be a home owner. 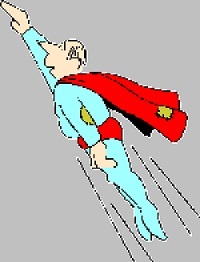 And remember, "Mortgage Man" is ready for action at the speed of light.